Fletcher and Clara/Clarke really camped out in my head while I read this book. This story totally captivated my imagination, and… I’m so sad it had to end!!! Members of a perpetual society called Tempus, essentially the guardians of time, the Clock Keepers preside over a vast hall of clocks deep in the Grand Canyon – clocks that designate the lifetimes of every person on earth. They have one rule: never looj at a clock. 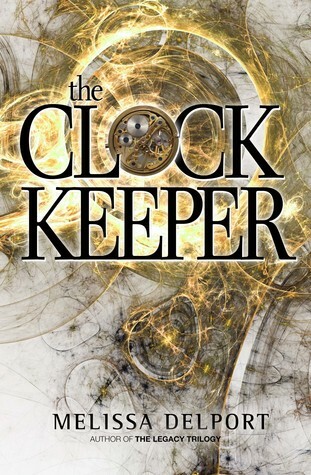 But when Anna Kennedy, the Clock Keeper, spots the clock of the man she loves and attempts to break it to prevent his death, it is left to her younger sister to fix the ensuing mess, perhaps even preventing the unravelling of time itself. I really liked that there were surprises along the way in this story. I thought I’d unravelled the plot, but Delport didn’t go anywhere near my ideas – for which I’m grateful! Well-crafted and thoroughly readable, I’d recommend this book to anyone who enjoys some mild romance with the temporal paradox thrown in.